Since December, it has been illegal for pupils to not have access to basic infrastructure such as water, electricity and sanitation, yet 4624 schools in the country have pit toilets. Pupils in the Eastern Cape are most affected by shoddy delivery of basic infrastructure, with 1585 schools relying on pit toilets. Described as a serial offender, the province also has 61 schools with no toilets and 58 schools functioning without water. KwaZulu-Natal has 1379 schools with pit toilets and Limpopo 932. These figures were revealed by Basic Education Minister Angie Motshekga in a written parliamentary reply this week. In the Free State, there are 196 schools with pit toilets, 23 schools with no water and five schools with no toilets. 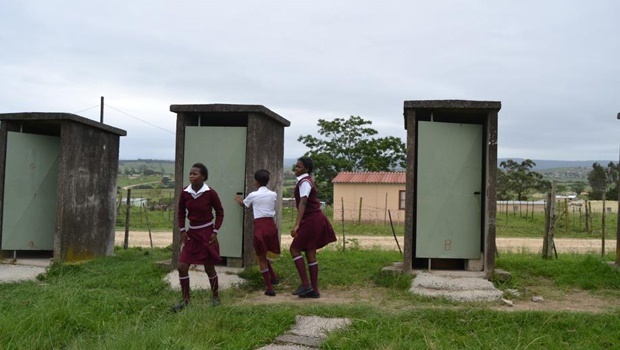 Mpumalanga has 392 schools with pit toilets, the North West 130 and Northern Cape 10. The only provinces not listed with pit toilets are the Western Cape and Gauteng. Motshekga also listed about 1000 schools that have been built with inappropriate materials such as wood, mud, asbestos and zinc. Again, the Eastern Cape provides the poorest service, with 800-odd schools listed. The Western Cape has 129 inappropriately built schools, Free State 18, Mpumalanga 16, North West 5, Gauteng 20 and Northern Cape 31. There are no listings for KwaZulu-Natal and Limpopo. When it comes to electricity, the worst performing province is KwaZulu-Natal, with 343 schools without power, 187 schools in the Eastern Cape, 25 in Free State, 13 in Mpumalanga and three in North West. Some of the statistics are similar to figures provided by Motshekga in November last year ahead of the department reaching its crunch deadline to provide basic services to meet minimum uniform norms and standards or face litigation. In the minister’s reply this week, two bulky annexures are provided with reams of names of all the affected schools. The DA MP who asked the parliamentary question, Nomsa Marchesi, said the minister’s replies were alarming. She plans to ask more questions around budgetary allocations to provinces for the erection of properly built buildings because it was clear that targets were not being met. In followup media queries to the minister, her spokesperson Elijah Mhlanga said that pit toilets were a reality “that will be with us for a long time to come”. The challenge went beyond resources and they were monitoring progress and providing support to ensure that the department complied with the legal requirement to supply basic infrastructure to all schools. A court date in the Bhisho High Court has not yet been set. Motsepe said that the Equal Education’s own analysis painted an even worse picture of the Eastern Cape than presented by the minister. Equal Education released a report late last year after visiting 60 schools across seven districts, and found serious violations of the norms and standards. A total of 46 schools had at least one inappropriate structure, and 44 schools reported that they only have access to water some of the time. Only 15% of schools had flush toilets. Three years ago, Motshekga published regulations for improving schools with deadlines set for minimum norms and standards to be met. Since November 29, schools which still did not comply are violating the law and individual schools may litigate against the minister or provincial ministers to get their schools fixed. Motsepe said to date, no school had yet filed a case. The Eastern Cape achieved the poorest matric results last year, with a 59% pass rate. Five districts got under 50%: Lady Frere 49.5%, Dutywa 49.5%, Libode 47.9%, Ngcobo 47.2% and Lusikisiki 44.7%. There are roughly 25 000 government schools in the country. Annexure A is the list of schools built with inappropriate materials and Annexure B lists the schools lacking sanitation facilities, no water supply or electricity and those with pit toilets.